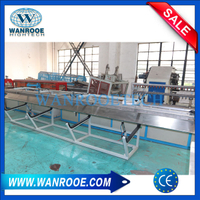 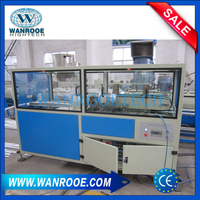 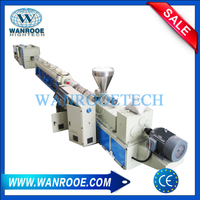 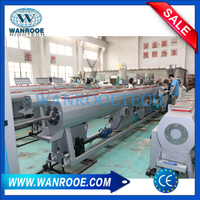 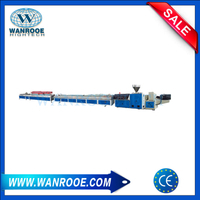 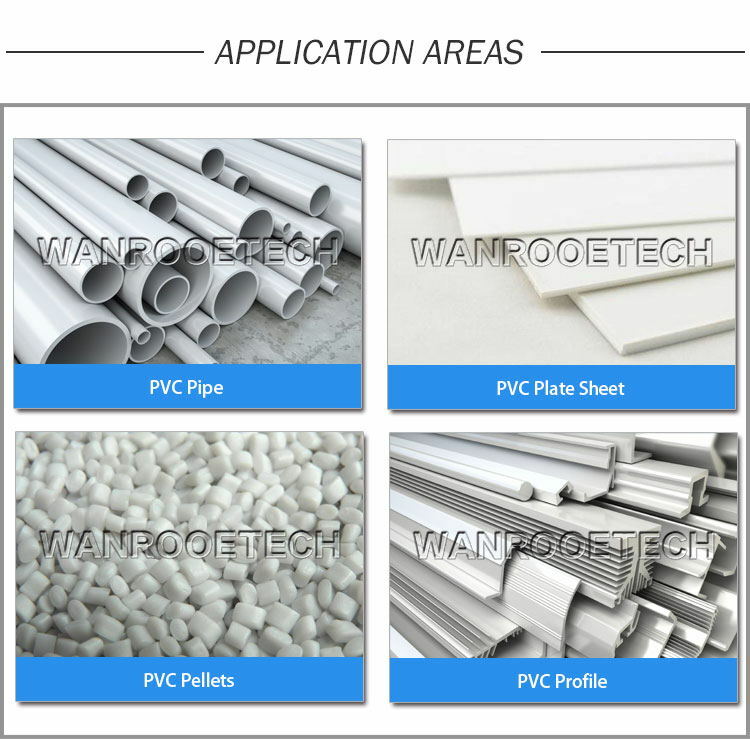 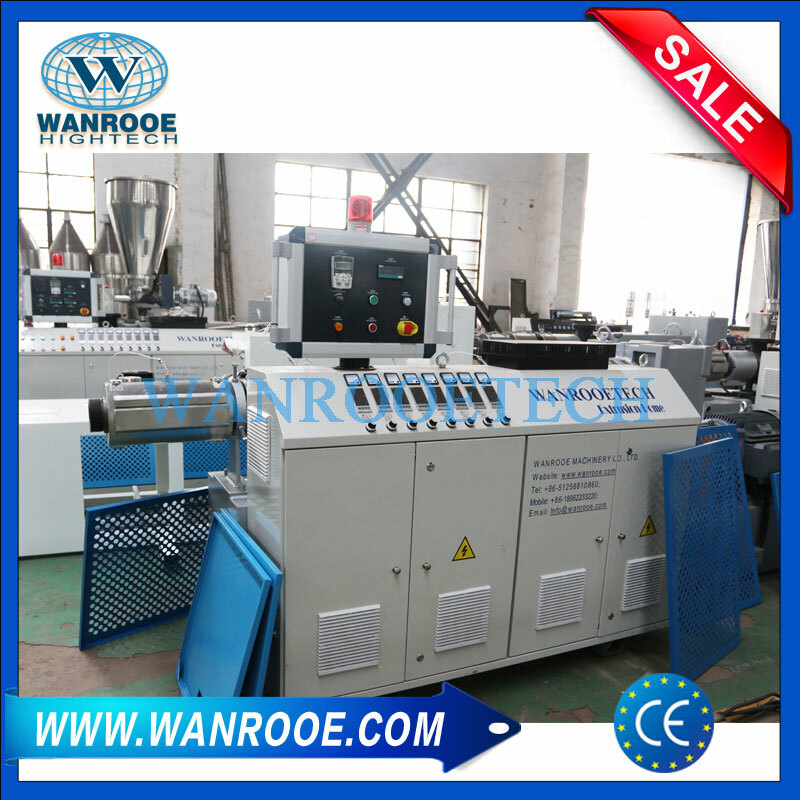 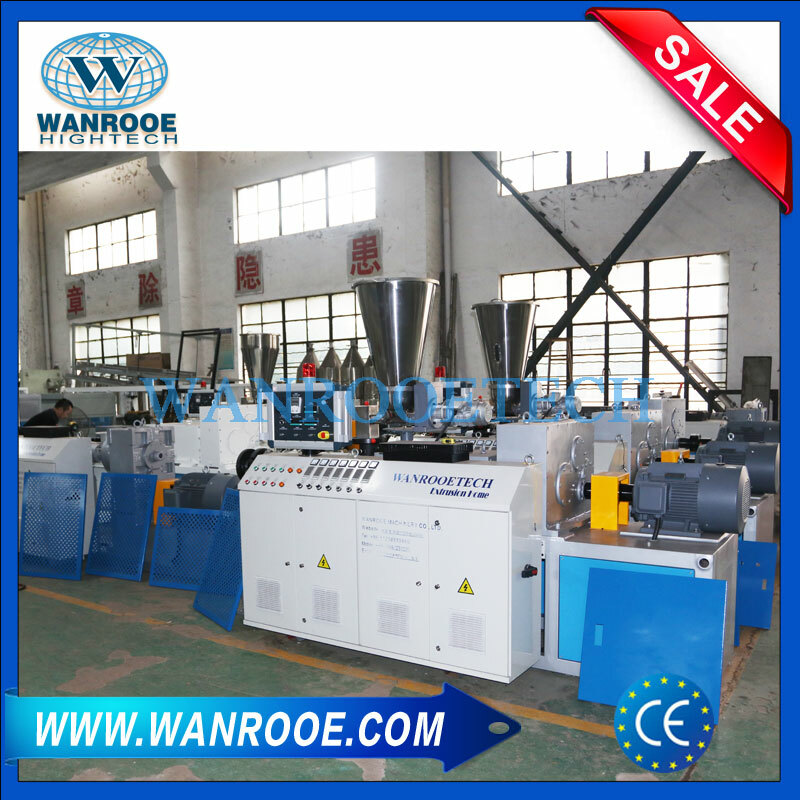 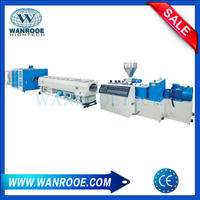 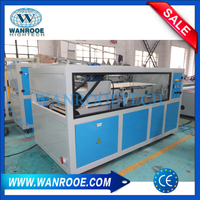 Twin Screw Extruder,PVC Extruder,Plastic Extruder from China Manufacturer - WANROOE MACHINERY CO.,LTD. The PVC Conical Twin Screw Extruder with appropriate diemould and auxiliary machine can directly convert thermoplastic espical pvc powder into pipe, plate sheet, film and profile, and also provide function of modefling and pelleting, but twin screw extruder need work with different downstream machines in the whole production line. 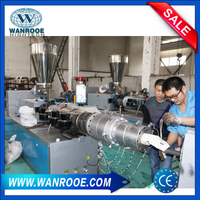 The extruders are derived by DC motor with a thrusters to regulate. 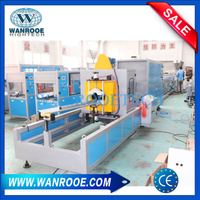 It is also equipped with the over-load protection and stoppage alarming system. 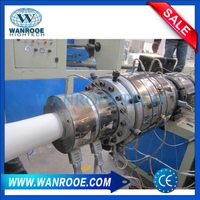 The screw's core and the outside of barrel is cooled by ciculation of oil, it includes vacuum venting and forced feeding. 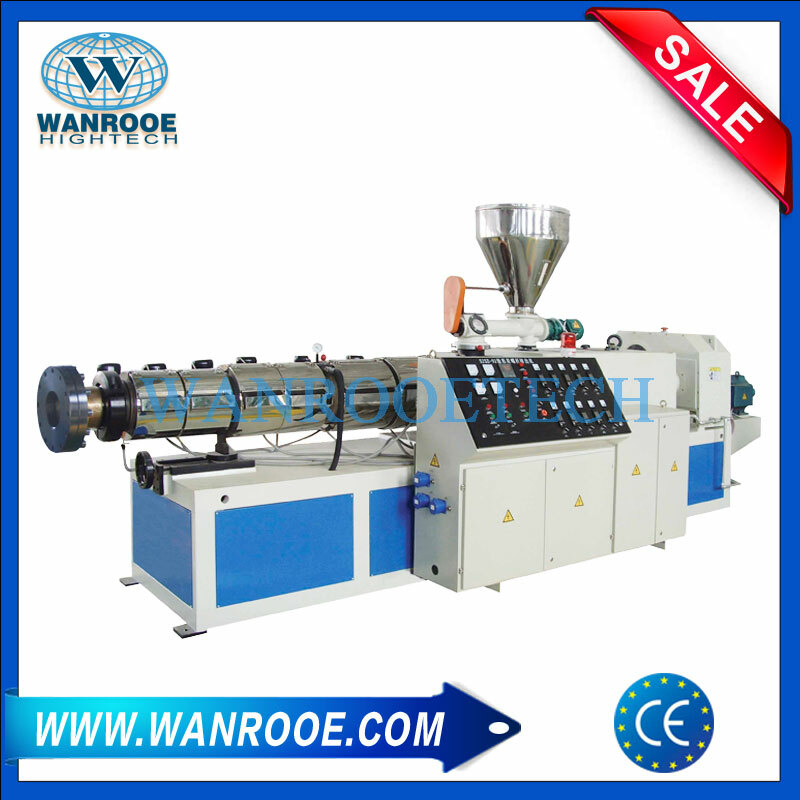 Twin Screw Extruder With PLC Control system, reliable and stable performance. 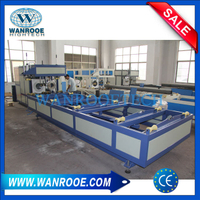 Equipped with over-load protection and stoppage alarming system. 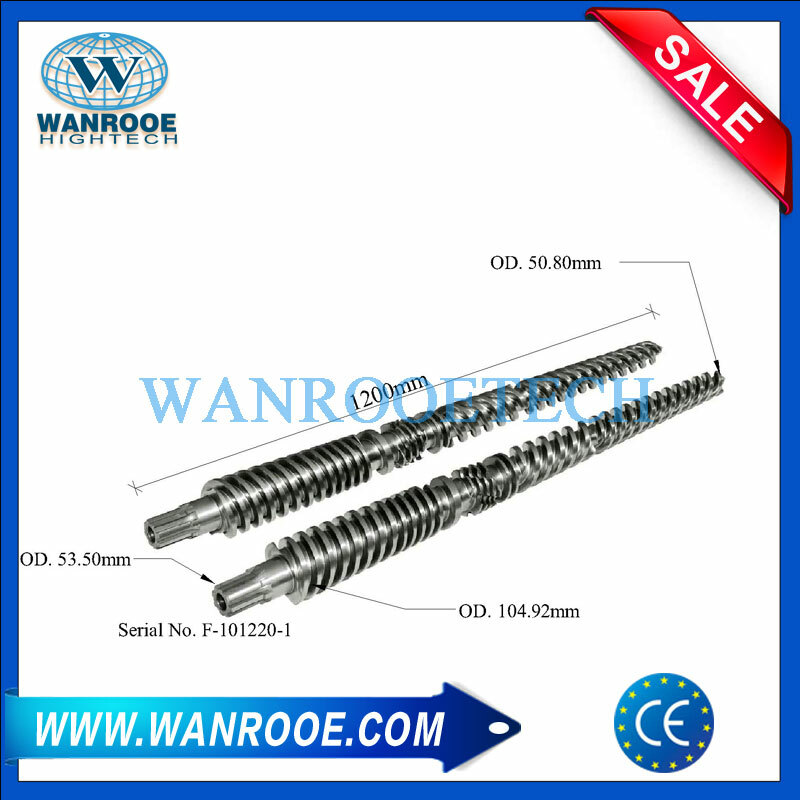 Specified screw design for better material plasticizing & mixing effect, bimetallic screw and barrel can guarantee perfect solution. 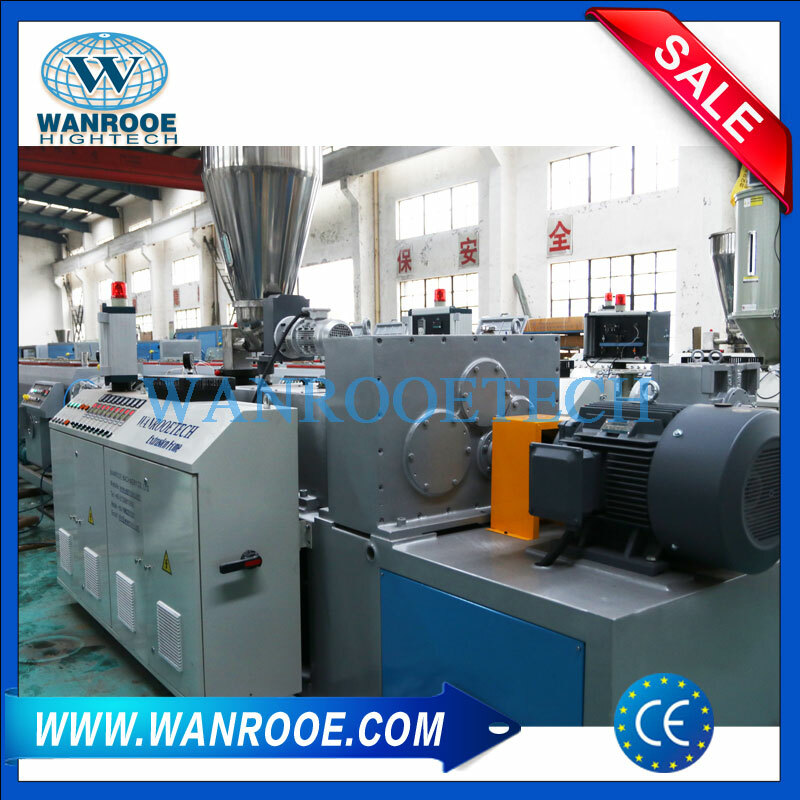 This extruder is equipped with AC motor, auto temperature controller, vacuum exhausting device etc. 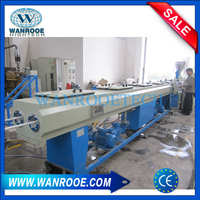 This production line is suitable for production of plastic pipe, plate and profile and etc. 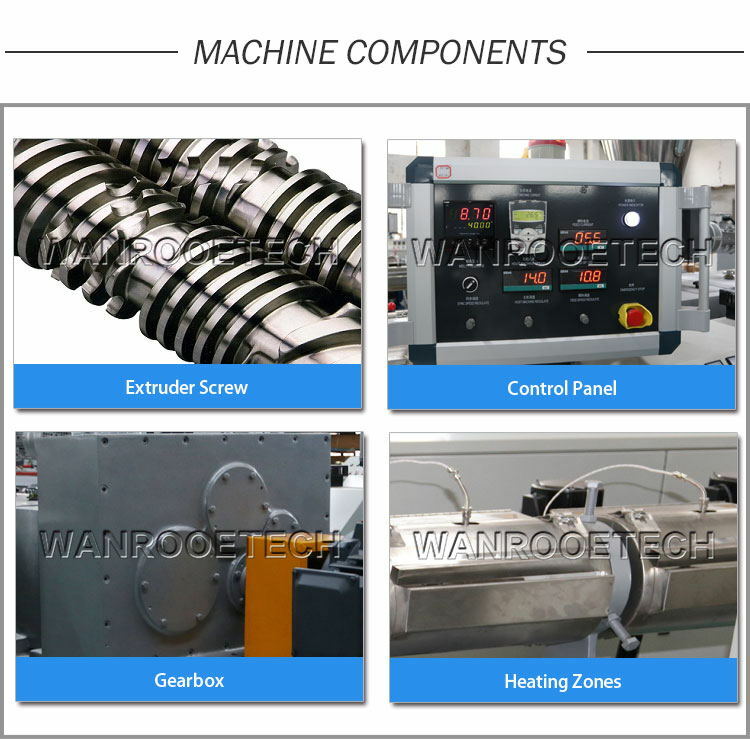 Concourse chip(inside is chrome plating) is equipped on the extruder head, pressure sensor device is also equipped with. 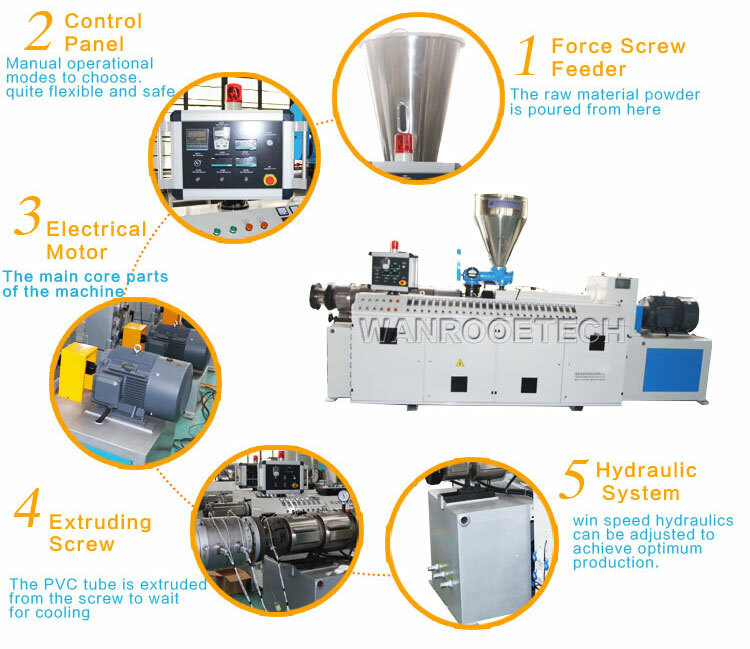 What is Single Screw Extruder? 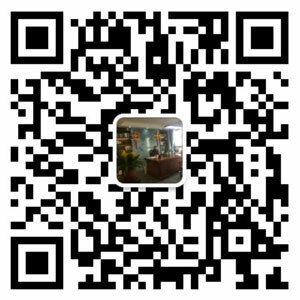 Sanxing Private Industrial Park, Sanxing, Jinfeng Town, Zhangjiagang City, Jiangsu Province, China.